Road trips, to us, are the best way to break the ice between a vehicle and the people who use it. Much like it is for strangers travelling together. Here at Nirvana, we like to believe that vehicles, regardless of the number of wheels, have personalities too. 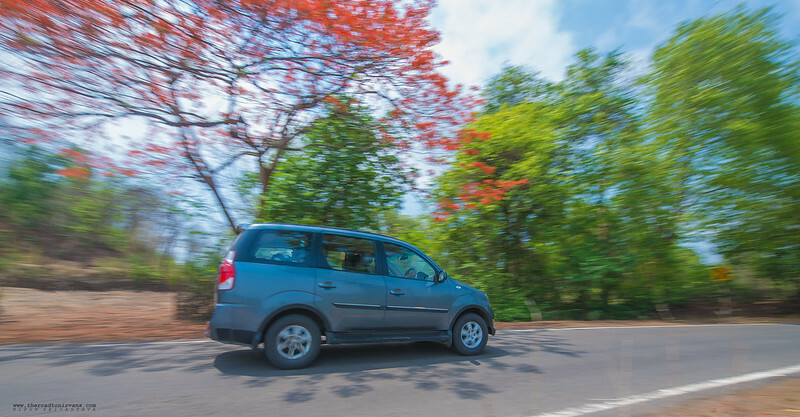 With the Mahindra Xylo, we were on the verge of finding out what motoring could mean if one let go of stereotypes and just put pedal to the metal. The day before our trip, as the Mahindra Xylo arrived, we were a tad surprised with the space inside. The initial drive made us feel like everything was where it needed to be in the vehicle. Power, space, air conditioning, stability and that all important 3rd row of seats. We would be putting the Xylo to the ‘Nirvana Travel Test’ so obviously we had no back up vehicle to lug our stuff separately. 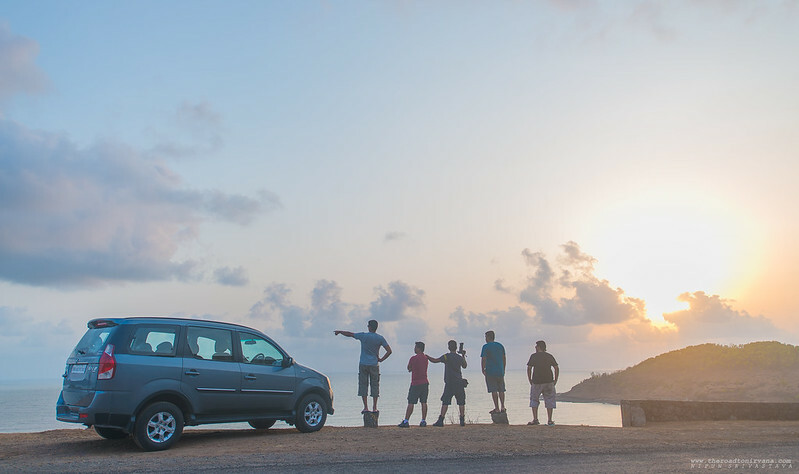 Five boys, seven days and loads of camera things, we set out to conquer the Indian countryside in our Xylo. We must be honest, an ‘MUV’ is probably not the first choice of vehicle for a bunch of young boys who’d want to have a bit of fun on a road trip. Through our photography, that was the very mindset we were out to change! There were two major aims of our week long trip. 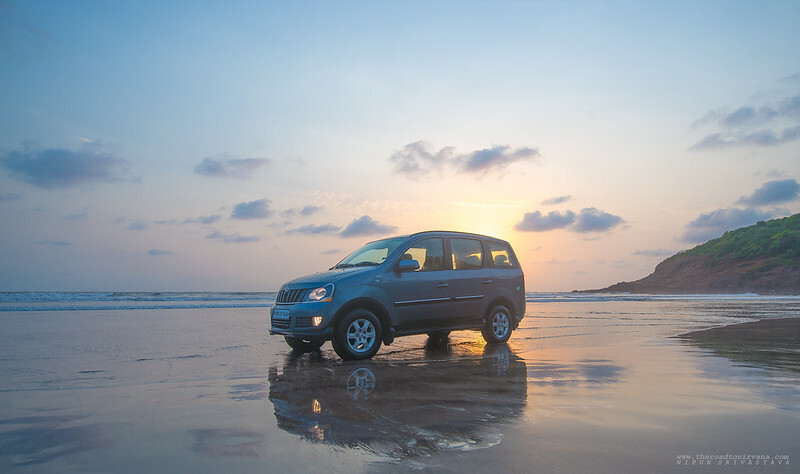 We were to photograph the vehicle and also experience life with the Mahindra Xylo H9. H9 being the most well equipped ‘top end’ version. Our first destination was the beach town of Murud Janjira. A 170 kilometer drive saw us there well in time for the sunset and a quick bite. 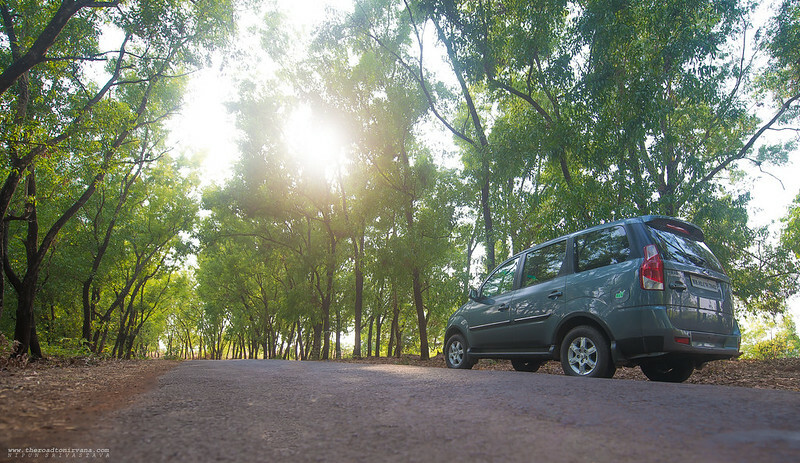 On the short drive here, the Xylo behaved like a silent companion, nonchalantly going about its business of turning wheels and getting us to the town. Shooting big vehicles such as the Xylo can be a tricky proposition. We had to think and shoot, constantly reworking frames to get shots worthy of the Nirvana name. We wrapped up our first sunset shoot. Taking some time to relax and absorb the beauty that was Murud Janjira, with the Xylo by our side. The vehicle had performed well on her first day. We were now excited to see the rest of the trip unfold! The whole premise of this road trip was spontaneity. Everything would be decided on the go. Be it the next destination, the next photographic angle or even what/where the team would eat, we were flying freestyle all the way! Early next morning, we forgot to wake up. It happens, too much prep and no relaxation before hitting the road can lead to this. Good sleep is most important on any road trip. Good sleep leads to good fun, we think. Finally, around 10 AM and with everyone on the breakfast table, we bounced ideas off each other. It was important we did that, 5 heads and no calibration can lead to a lot of chaos with the lens. Having decided we would let our quest for exploration guide our shoot, we hit the road destination unknown! Driving through interiors of the Konkan Coast, it was inevitable that we hit the famous National Highway 17. The smooth and bendy roads of this highway were a good test run for the Xylo. Not to forget the five boys inside! We drove about 200 kilometers on this day, finally finding ourselves in a quaint and almost completely secluded beach village, Hedvi. If you haven’t guessed it yet, the Nirvana team loves beaches. We believe some of the greatest driving roads in the world run along the coasts and it’s no different in India. Another reason maybe that we love shooting images in those dreamy golden hours :). We had timed our arrival perfectly. 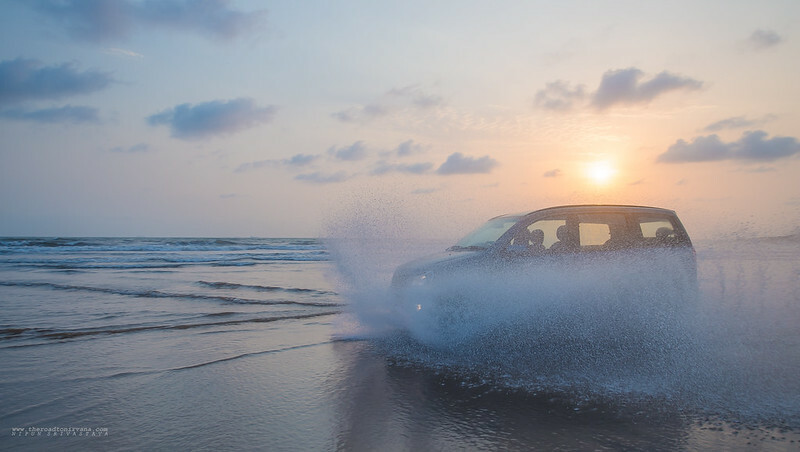 Hedvi welcomed us with the perfect sunset vistas, not to forget the perfect beach driving opportunity. Until now we had driven the Xylo on good roads, bad roads, straight roads and bendy roads but now it was time to have some fun on the beach! The New Mahindra Xylo: Practically Brilliant! The stereotype of boring MUVs does not apply to this vehicle. The New Xylo is a very amusing car. Right from the voice enabled commands to the mind bending amount of space inside, the Xylo surpasses all expectations. To delve deeper, lugging all our camera equipment along with the team that makes it all work is no easy task but the Xylo was toe for toe with every challenge we could throw at it. We’re not shy of acknowledging the elephant in the room either, a car this big has to have monumental body roll right? Wrong! The new Xylo with its comfort spec suspension once again had us snoozing in our seats as we munched those curvy coastal miles. Trust us when we say this, a hard working team loves a vehicle that takes care of its passengers over long distances regardless of the road conditions. Rumbling under the hood was the Mahindra’s flagship M-Hawk engine. We really enjoyed putting the 120 horses to work on the Indian highways, taking turns to drive the vehicle all throughout the Mahindra Xylo Mad Dash. We were impressed. Boys will be boys and who doesn’t like making a splash in water?! As the Sun set over the Arabian Sea, we pulled up our socks and washed the behemoth off of the salt water from all that driving and splashing in the sea (basics!). It is imperative that we mention more about the Hedvi village. Hedvi is something else, it is solace, freedom and fun all rolled into one exquisite ballad of beauty. We’ve always been in love with the simple and rustic charm of this place. The beach here is absolutely untouched by civilization and the village brings the same ‘middle of nowhere’ feeling into any stay at this place. Especially since there is no cellphone network here, time spent here is exclusively private. Which is something that helped us get in touch with the vehicle we were shooting even more. At Hedvi, the Nirvana Team had spent all its time interacting one-on-one with the Xylo. The climate here was so humid that we spent an entire afternoon napping inside the Xylo, you know, taking advantage of that exceptional air conditioning system. 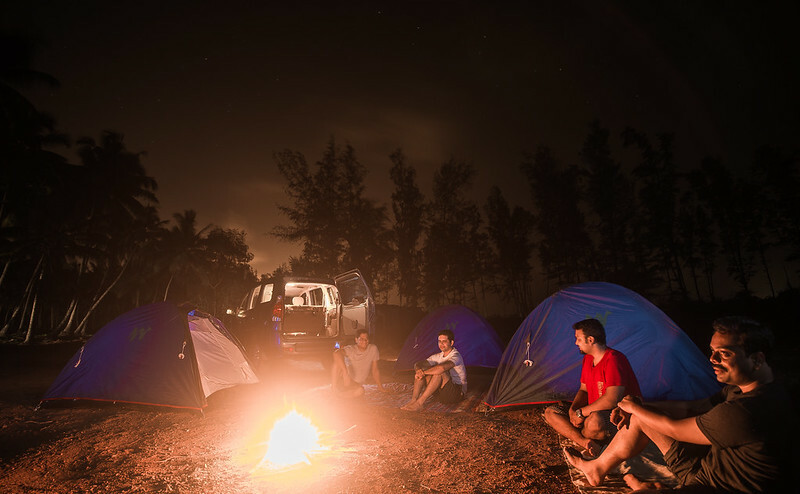 Night fell and we were out again, we realized that it’s the perfect vehicle to go camping with buddies. Oodles of space for camping gear and everything else one might need! We hit the road early next morning. Initially deciding to stick to the coast as long as we could, in the Xylo, we explored a little bit of the Konkan (coast) one usually misses out on. We even took a short ferry ride (with the Xylo!) to get ourselves across a river. As the day progressed, we took turns suggesting our next possible destination. In the end, we needed the map to figure out where it is we could actually go in the time we had. 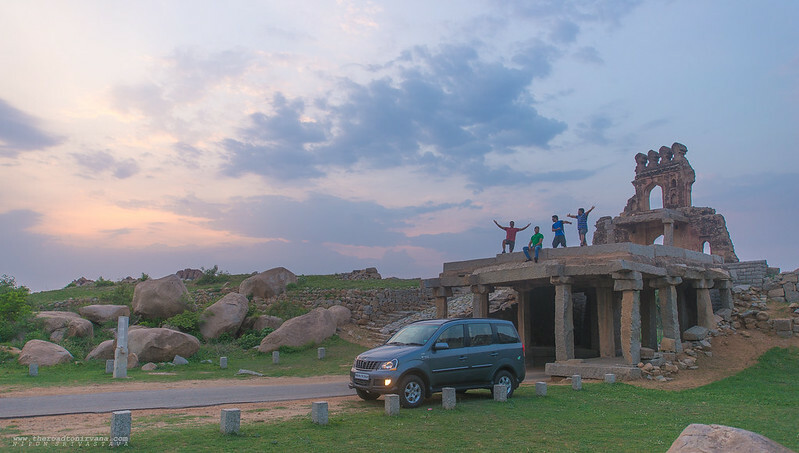 As soon as the road map of India unfolded, Lead Photographer Nipun Srivastava exclaimed – Hampi! The moment Hampi was mentioned, we took off! Hitting the National Highway Number 4 a little after lunch and then soon getting off it to head towards the prehistoric temple town that is Hampi, we were on a roll with our Xylo! We reached Hampi late in the night, a drive that was not just beautiful but also equally intense. We had spent an entire day travelling in the Xylo. To be honest, none of us were too tired so we treated ourselves to some well deserved pints of beer :D.
Hampi is a village about 850 kilometers from Mumbai, close to the town of Hospet in the South Indian state of Karnataka. This place is a true wonder of nature. Views of the landscape here are full of boulder hills in various sizes and shapes. Hampi is a site located within the ruins of the Vijayanagar Empire. It is older than the medieval city of Vijayanagara and is still of much religious importance. Hampi is home to the Virupaksha Temple – the main center of pilgrimage here and dedicated to Lord Shiva. 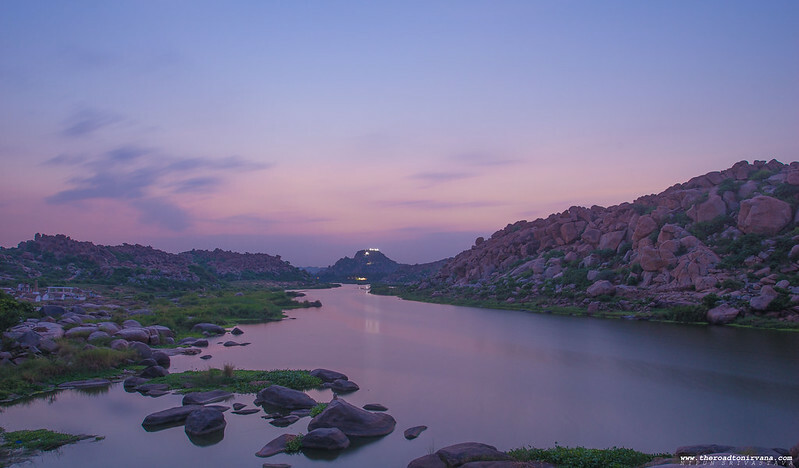 On the banks of The Tungabhadra river which flows through Karnataka into Andhra Pradesh, Hampi is not just a religious stop for the Indian traveler but is also a place of wonder and amazement to the foreign tourist. Hampi to us was the perfect opportunity to photograph the Xylo in truly unique surroundings. The Mad Dash team at Hampi! Amidst the ruins our team of photographers had a ball shooting the new Xylo! We drove from one ruin to another and explored the unique architecture and rock–cut structures and boy did we have the ‘time of our lives’! On one hand, temples of the Vijayanagar Empire poke ones spiritual inner self and on the other the awesome expanse of ruins spread as far as the eyes can see make one wonder, how on earth did they manage to build this wonderland! 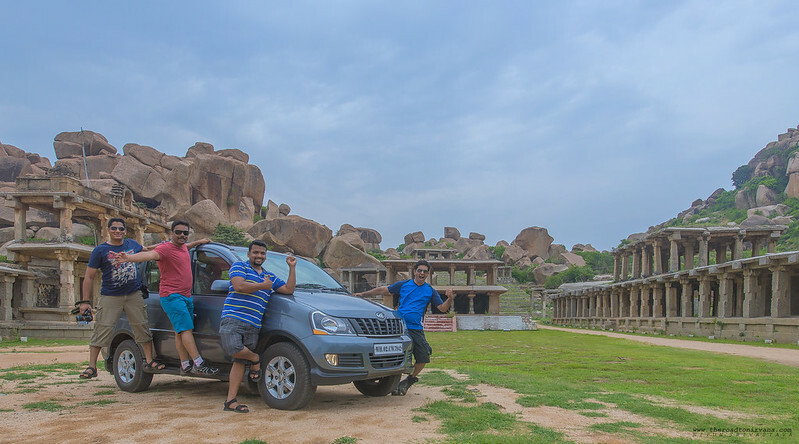 The Nirvana Team spent two days amidst the striking structures of Hampi. Six amazing days of travel, motoring and unparalleled fun were to be followed by one last Mad Dash across the states of Karnataka and Maharashtra to get us back home to Pune. Pack up – load up – rev up – kind of a theme now for us and the kind of work we do around here. The Xylo MUV is regarded by most as just a people carrier and nothing more. Understandable, as it feels like one’s private cave on the road – it’s that huge. When Mahindra & Mahindra called us though, we were forced to look at the whole idea of the Xylo differently. As is the case with every vehicle we shoot/test, the can of worms opens first. Once that’s been dealt with, we head out with the vehicle to see if we were right. Take a trip with the brand new Xylo! The mood inside the Xylo on our drive back was surreal. Each doubt we had about the super-MUV had been quashed by the intense trip we’d taken in this car. So much so, we were even talking about getting one for the Nirvana Garage. Yes, the Xylo is that good! Turns out that our preconceived notions about the Xylo were exactly that, preconceived. Talking about personalities again, we think the Xylo knows where it stands in the ‘looks’ department. Like most underdogs though, it outperforms expectations and delivers on platter a lot more than one might imagine! The Mahindra Xylo Mad Dash was conceptualized and executed by Nirvana exclusively for Mahindra & Mahindra. Mumbai: (Client) Mahindra & Mahindra (Brand Xylo), for flying with us and for providing the vehicle. Hedvi: Abhay Bhatkar, for the extremely personalized service to Team Nirvana. Hampi: KSTDC Mayura Bhuwaneswari, for the best hotel deal in town! Team Nirvana: Yogesh Shinde, Henry Fernandes, Vishal Kankonkar and Jitendra Singh for their support on shoot. 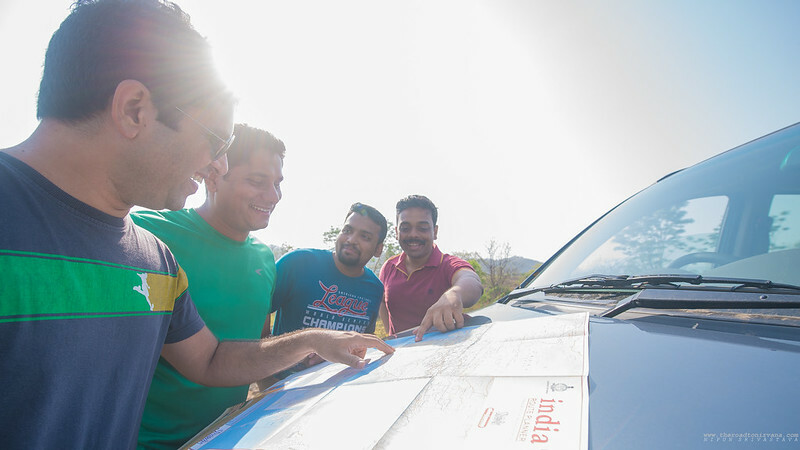 Videos from the Mahindra Xylo Mad Dash! 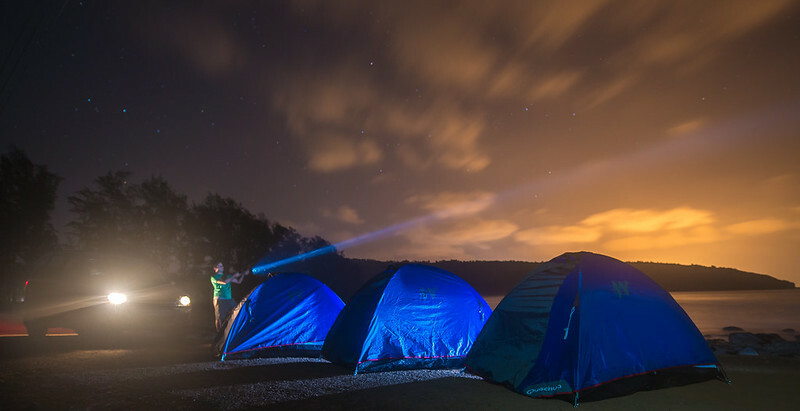 This entry was posted on September 19, 2014 by Nipun Srivastava. It was filed under Motoring, Photography, Professional travel assignments and was tagged with beach, boys, fun, hampi, hedvi, highway, india, Mahindra Xylo, motoring, murud janjira, photography, road, sand, sunset, Travel. Best of luck for your new car. 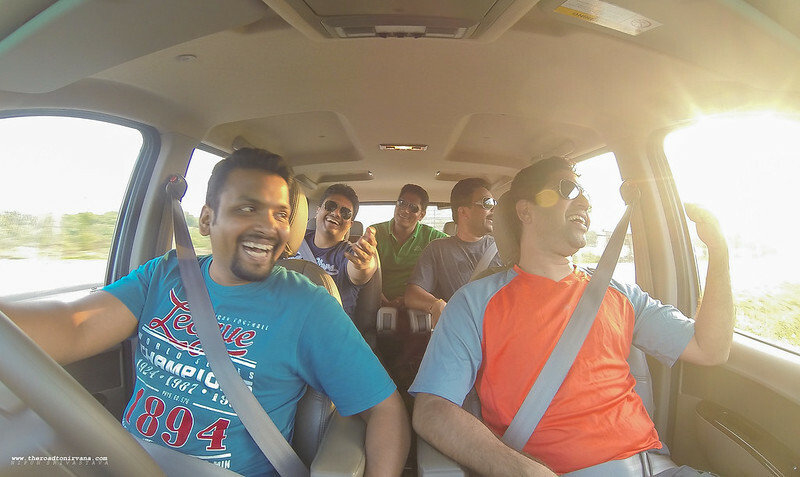 It becomes more enjoyable when you go for long drive with a group of friends in a big car.